Victorian houses commonly feature stained glass. 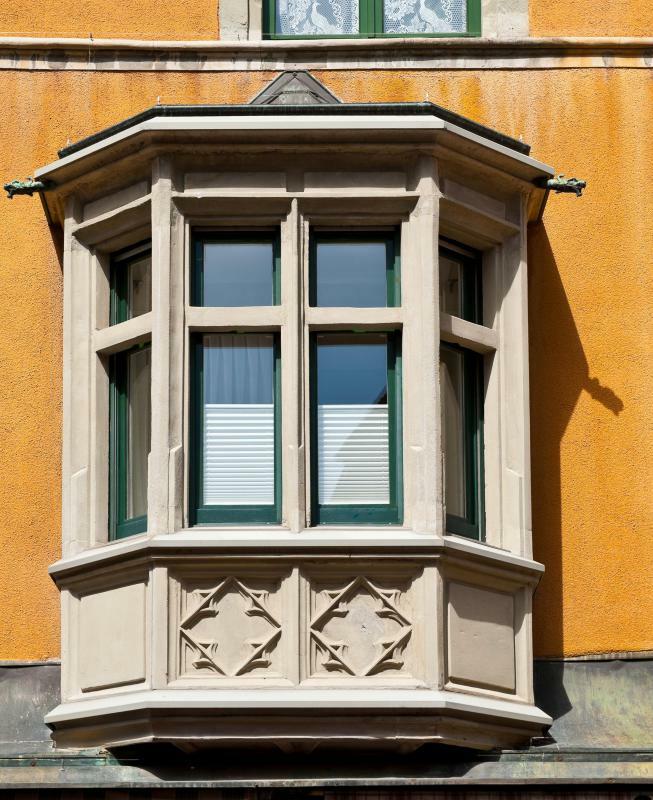 The Queen Anne style was characterized by bay windows. 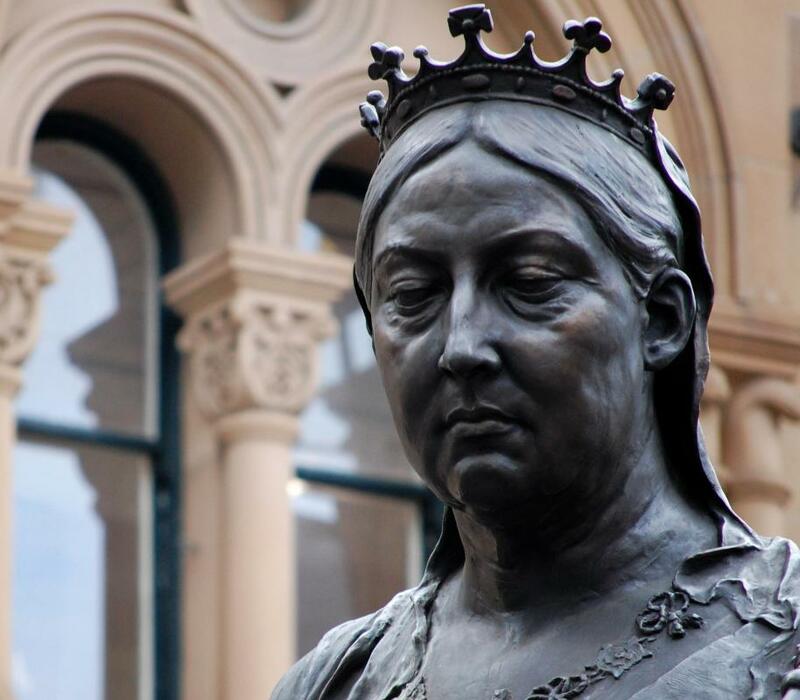 Homes built during British Queen Victoria's reign are known as Victorian houses. Victorian houses are homes built during the rule of Britain's Queen Victoria, from 1837-1901, or homes built in a similar style. A number of styles of architecture were prominent during the Victorian period, but most people think of a Queen Anne style home when they think about Victorian houses. The elaborate architecture of a Queen Anne reminds most people of a fancy cake, with a variety of angles and lacy decorative trim. Queen Annes are not the only Victorian houses, however; other styles include Second Empire, Italianate, and stick style, among others. The classic Queen Anne is distinguished by a number of features. Usually, a Queen Anne is wooden, and has two to three stories with steeply pitched slate roofs and distinctive gables. The house is rarely rectangular; Queen Annes have unusual footprints made bulgy by bay windows and sprawling porches, along with nonlinear floor plans. Most Queen Annes have large many paned windows with lavish decorative trim, and the porch and roof lines also have decorative trim accents. 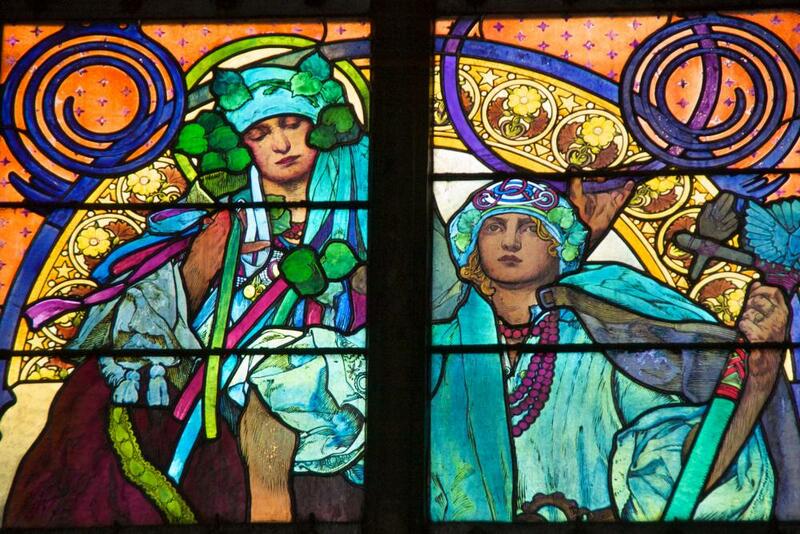 Stained glass is often included in these Victorian houses, usually as an accent above windows or on stairways. Traditionally, Queen Annes were painted in bright, radiant colors: some areas of the world have clusters of “Painted Ladies,” Victorian houses kept decorated in Victorian colors. A shingle style Victorian house retains many of these characteristics, but is less ornate. The large windows divided into many panes, deep porch, and steep roof can all be seen in shingle style Victorian houses, which are usually sided in cedar shingles. Folk Victorian houses are also related to these two styles, and tend to be smaller and simpler than true Queen Annes, built to be affordable for most people. A folk Victorian often centers around a single decorative accent, such as a turret or tower or large bay window. Larger Victorian homes were built in the Italianate and Second Empire styles. Second Empire homes were commonly built from brick or stone, and are the huge, classic stone mansions that many people associate with that time period in England. Italianate homes were inspired by Mediterranean architecture, and use warm colors, columns, and other classic Mediterranean accents. Some builders chose to use stick style architecture, a medieval throwback with exposed trusses and rafters. Many Victorian houses were also built in the Gothic Revival style, meant to resemble elaborate medieval cathedrals. Gothic Revival was often used for public architecture, such as the Palace of Westminster, but some elaborate private homes featured Gothic Revival architecture as well. Many parts of the world have stunning examples of Victorian architecture, thanks to the wide influence that Britain had on the world during the reign of Queen Victoria. A short walk around the streets of your home town will probably reveal at least one folk Victorian, and if you're lucky, you might find a few true Queen Annes, a stick style home, or a shingle style. You may also find an assortment of Arts and Crafts homes, which began to be very popular in the early years of the twentieth century and owe some of their inspiration to Victorian architecture. What Is the Small House Movement? What Are the Characteristics of Medieval Cathedrals? What is an Octagon House? What is an American Foursquare? What is a Building Shell?